A survey conducted by global shipping consultancy Drewry found considerable unease among global shippers and forwarders ahead of the low-sulfur fuel implementation. Particular uncertainty and concern was expressed by respondents about ocean carriers’ methods of fuel cost recovery. Photo credit: Shutterstock.com. Shipper concern that new bunker fuel adjustments (BAFs) won’t accurately reflect the true cost of container lines meeting stricter low-sulfur emission rules is mounting and building on long-standing suspicion that they are paying too much for fuel. A survey conducted by global shipping consultancy Drewry found considerable unease among global shippers and forwarders ahead of the low-sulfur fuel implementation. Particular uncertainty and concern was expressed by respondents about ocean carriers’ methods of fuel cost recovery with more than half (56 percent) stating that they did not consider their service providers’ existing approaches as either fair or transparent. Drewry found that four out of five of the shippers/beneficial cargo owners (BCOs) participating in the survey stated that they had yet to receive clarity from their providers as to how the widely anticipated future fuel cost increases, set to accompany the 2020 regulatory change, would be met. This is placing carriers in a difficult position as they face significant increases in costs generated by the shift to cleaner fuel with their financial sustainability riding on an ability to price in the rising operating costs. Starting Jan 1, 2020, carriers will have to meet the International Maritime Organization’s (IMO’s) mandate by reducing sulfur emissions from from 3.5 percent to 0.5 percent. Higher crude oil forecasts, a low-sulfur fuel estimate from Jefferies investment bank, the expanding spread between low-sulfur marine oil and its high-sulfur counterpart, and an analysis of four major port-to-port pairs all point to a steep bill that carriers will try to pass onto forwarders and BCOs. The rule is estimated to add from $5 billion to tens of billions of dollars to the annual container shipping industry fuel bill. It is a wide spread, but the imprecise estimates are a result of little visibility in pricing for the various cleaner fuels. So-called pricing discovery for the new fuel, of which various types are still being created, won’t be finished until between the first and second quarters of 2019, said Matthew Muenster, senior manager of applied knowledge at transportation fuel consultancy Breakthrough. Jefferies has estimated that the cost of low-sulfur fuel needed to meet the mandate will be about 50 percent more than the current fuel type of ISO 380. Average bunker fuel prices through August were up 43.7 percent from June 2017 to $444 per metric ton ($404 per ton) across Rotterdam, New York-New Jersey, and Shanghai. 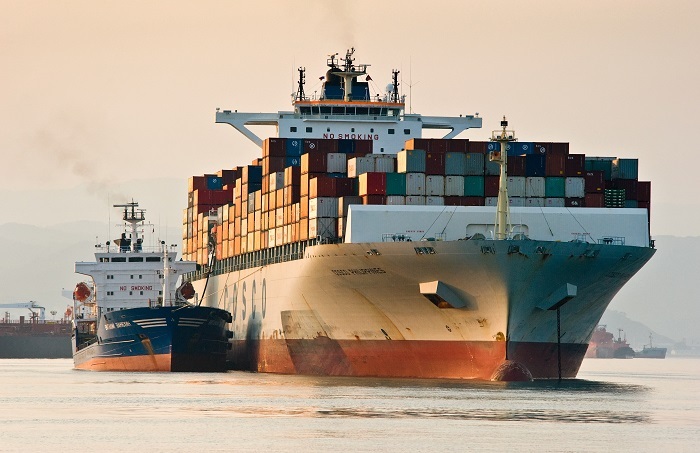 A lack of clarity in the surcharge mechanism was raised by fellow analyst Alphaliner, which said of the three carriers to have announced new BAFs — Maersk Line, Mediterranean Shipping Co., and CMA CGM — only Maersk has provided details of its BAF calculation. In its analysis of the Maersk mechanism, to be implemented from Jan. 1, 2019, Alphaliner pointed out that the the new calculation did not fully address shipper concerns of fuel surcharges. The analyst said a longstanding criticism from shippers was that the carrier methods of calculating BAF remain nontransparent, lack uniformity, and could involve an element of revenue generation rather than recouping actual bunker costs and helping carriers cope with unexpected fuel price fluctuations. For shippers, a key sticking point in both Maersk’s current and new fuel surcharge is that they are not set according to a base bunker price, which Alphaliner said went against the original principle of the BAF. “Carriers need to incorporate all of the component factors that would affect their bunker fuel costs in order to dispel shippers’ concerns,” was the analyst’s view. Maersk’s fuel calculation is based on the formula: BAF = fuel price x trade factor. The fuel price to be used will be based on high-sulfur fuel (IFO 380) in 2019 and will be switched to 0.5 percent low-sulfur fuel oil (LSFO) from Jan. 1, 2020. The Maersk BAF tariff will be reviewed on a quarterly basis and will be adjusted only when fuel prices change by more than $10/ton. However, the tariffs could also be adjusted monthly if the fuel price changes by more than $50/ton. Alphaliner said according to Maersk, the trade factor will be based on actual fuel consumption per container moved on individual trade lanes. In addition, it comprises an imbalance factor that would apply a larger share of the fuel costs to the headhaul leg than the backhaul leg. The analyst said while Maersk’s latest attempt to reset the BAF debate with the publication of its new formula was a good start to “its previously opaque and unjustifiably high SBF [standard BAF] tariffs,” carriers had to address shipper concerns head-on by providing better visibility of the total fuel-related costs. “Previous attempts to impose BAF have failed, mainly because of the surcharge’s inconsistent application, with all-in freight rates continuing to be applied for the majority of the market. Carriers cannot afford to allow this to continue, as the 2020 sulphur cap is expected to raise overall fuel bills quite significantly,” Alphaliner warned. Muenster said current BAFs will be challenged when accounting for complexities added through carriers meeting the IMO mandate. For example, the majority of BAF programs don’t take into account the impact of slow steaming, fuel cost differences that depend on where the ship bunkers, and the cost of savings via liquefied natural gas (LNG) and scrubber adoption. BAFs should “consider port-to-port fuel cost and not just total lane analysis,” he said. Muenster said the spread between low-sulfur and high-sulfur fuel oils has also been expanding since July, suggesting an even higher premium for the low-sulfur bunker fuel. The cost difference hit above $200 in November and has kept above that level since. At the same time, expectations that crude oil prices were cresting have faded, with analysts now warning that Brent crude could hit $100 per barrel, largely because of US sanctions restricting Iranian supply. Brent oil, world’s oil benchmark, traded Thursday at $85.80 a barrel. West Texas Intermediate crude, which benefits from an oil surplus in the United States' oil patch, traded at $75.55 per barrel. Additionally, a Breakthrough analysis of the fuel impact on four major lanes — eastbound routes from Shanghai to Seattle and Long Beach and westbound rates from Rotterdam to New York and Kingston, Jamaica — suggest that aggregate fuel prices will be 36.7 percent higher per TEU when the IMO rule takes effect compared with the price in August. SeaIntel said putting the additional fuel spend into perspective, the 13 largest carriers that provide financial accounts had a combined cumulative earnings before interest and taxes (EBIT) of just $8.6 billion in the six years spanning 2012-2017. In 2017 alone, their combined EBIT was just $3.5 billion. The analyst said the Jan. 1, 2020, date was first decided on back in 2008 so the industry — carriers and shippers alike — has had 12 years to prepare for this transition. Aside from pricing challenges, carriers face limited options in preparations for the 2020 rule. They can either use LSFO, with issues around the availability of supply, or fit scrubbers to their vessel exhaust systems to remove the excess sulfur emissions. In a report on the low-sulfur fuel challenge facing shipping, UK-based financial research company Marex Spectron said the main limiting factor behind the installation of a scrubber was its huge capital cost, with prices typically ranging from $3 million to $8 million. Installation times, generally around six months, were also rising because of increasing demand. Taking the LSFO option meant ships would have to organize routes depending on the availability of specific types of fuels. This may not be a problem in major bunker ports such as Rotterdam, but smaller ports might have a more limited range of supply. There remains no clear indication of which way the shipping industry is heading — scrubbers or LSFO — leaving refiners unsure of how much low-sulfur fuel to produce because of a lack of clarity on future fuel prices and demand, Marex Spectron said. If refiners choose to commit to low-sulfur fuel production, ships installed with scrubbers could face a shortage in heavy fuel oil supply, but if there are a majority of scrubber installations, refiners may cut back on producing low-sulfur fuel. “The conundrum in the shipping industry is that refiners and ships are depending on each other. Refiners are waiting to see what route shipowners take, while the latter are keen to see what actions the refiners will take,” the report noted. The container-shipping industry appears to be warming up to scrubber adoption, with Maersk changing its position recently to limited installation. MSC is taking the scrubber approach, while CMA CGM has said it will burn low-sulfur fuel and power nine of its mega-ships, which are on order, via LNG. While LNG fueling has potential and carriers are giving scubbers another look because of rising oil prices, Muenster and IHS Markit energy analysts still expect that the majority of ships will meet the mandate by burning low-sulfur fuel. To Alphaliner or other analysts - it's obvious that (1) the cost of fuel started rising in March 2017 yet the current Fuel Surcharges weren't in effect until July 2018, how much profit in that? (2) a considerable volume of freight today is exempt from the existing fuel surcharges due to contract clauses, how much profit in that? (3) the sulfur content requirements will push up fuel costs to carriers - what is your assessment of by how much, without any profit or loss in it? (4) how would you calculate a surcharge?. For those unaware of the sulfur level requirements in January 2020, and the cost impacts, you haven't taken time to read industry publications or listen to speeches that have been given on the subject for months.